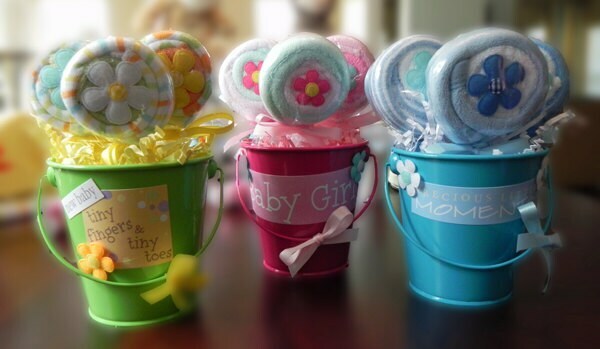 These adorable Washcloth Lollipops look good enough to eat & make the perfect Baby Shower gift, centerpiece, or favor! 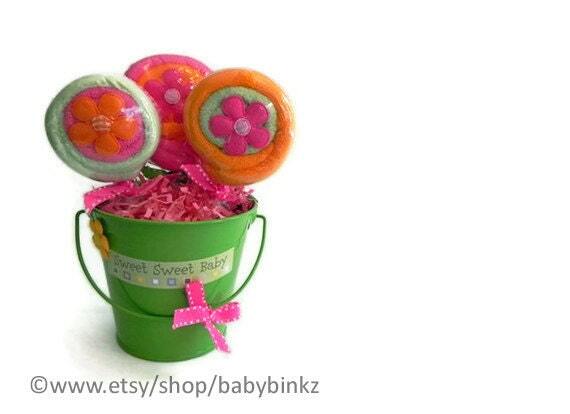 This listing is for ONE Lollipop Pail, containing THREE Washcloth Lollipops! 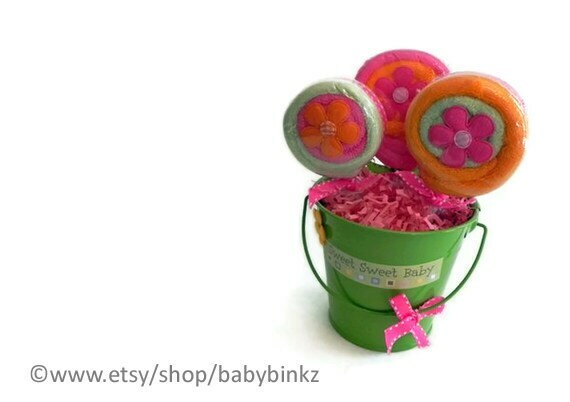 Each Washcloth Lollipop Pail is handcrafted, and made with TLC in the BabyBinkz studio! 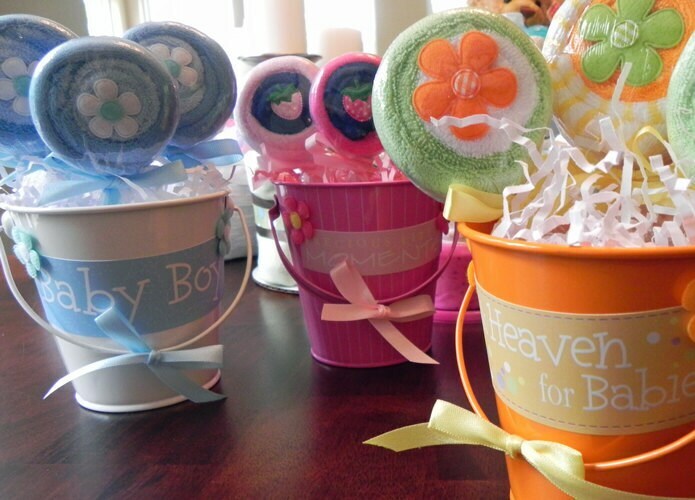 Please note: Depending upon inventory levels, ribbon, applique and washcloth colors / designs in the pictures may vary from our final products, but will always coordinate with the gender selected. 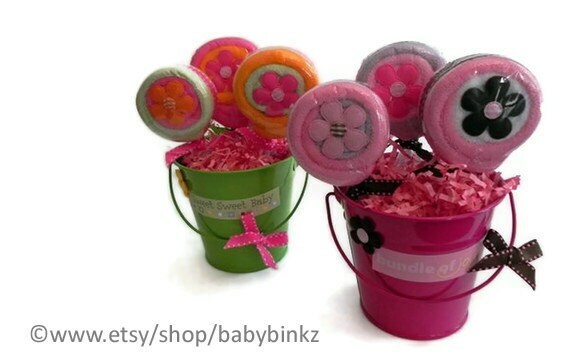 Enter Boy, Girl or Neutral in the note to seller at checkout and we will create your order in colors and patterns to match!